It's become a standard comment for the past thirteen Constellation Records releases, but don't enter this record expecting a continuation of Godspeed You! Black Emperor's drawn out sandswept post-rock. Expect something as uncompromising, as original, but enter with attentive ears and an open mind. 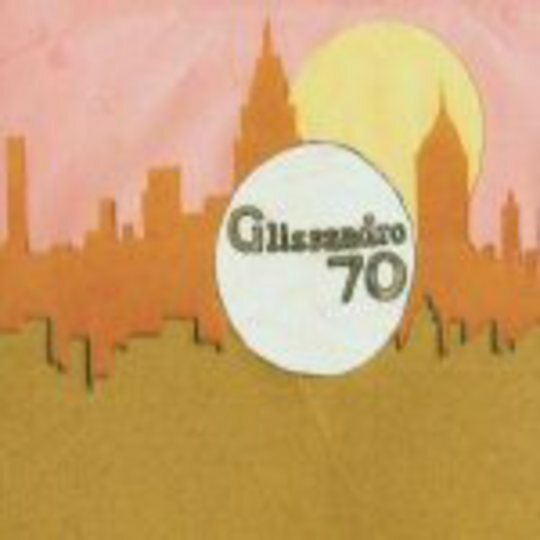 While most of GY!BE's releases - and indeed most of the CST back catalogue - have meandered rather than marched, Glissandro 70's full length debut has an almost absolute devotion to a steady beat. 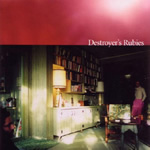 Take for example 'Analogue Shantytown', a track that morphs from digitised harmonica and whispered vocals to plucked guitar and falsetto whines and through to surf guitar and Spanish wailing before it close, its strict rhythm being the only part of the song present from start to finish. With only five tracks it's difficult to pick a highlight but the centrepiece 'Bolan Muppets' is as good a choice as any. A pleasant slow burner, the song incorporates guitar harmonics and lazy vocals before ending on a riff similar to the preceding tracks. With its endless though sometimes lethargic metamorphosis, summarisation of the record is difficult. Ennio Morricone, Santana and Hot Chip huddled round a music generator program would be close to it, but with this debut Glissandro 70 have produced an album that whilst not being a masterpiece has found a perfect balance between enjoyability and experimentation.